As a transcriber you wear headphones for a large part of your day. Finding a pair that is affordable, durable, comfortable, and has great sound quality is very important. In this article we’ll discuss and review ten of the best headphones for transcription. 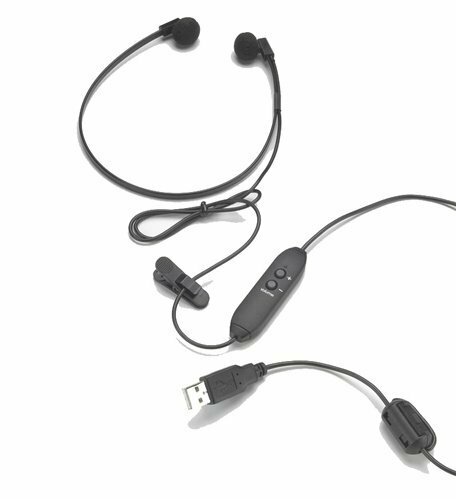 The ECS WordSlinger Deluxe USB Transcription Headset is a headset designed specifically for transcription. It comes with on-set audio & volume controls. Designed specifically for audio transcription. Great volume and word clarity. Has on-set audio and volume controls. The customized controls are great for files with quiet & distorted audio. Headset is reasonably priced at $49.95. Designed for vocals. These would not be ideal for listening to music. The Spectra USB Transcription Headset is very popular & designed for transcription. It has a USB plug, digital volume control, 10 foot cord, and weighs 1 oz. The Spectra headset is very affordable at $27.00. Headset is lightweight and will be comfortable for most users. On-set volume control. This allows you to control the volume directly on the headset. These are designed specifically for vocals so music playback could suffer. Lightweight plastic headsets can break with prolonged use. The ECS WordSmith USB Transcription Headset is essentially the same as the WordSlinger Deluxe, (pictured above) but this product is in-ear as opposed to over-the-ear. Pro: In-ear headsets will block out almost all exterior noises. Differences Between WordSmith & WordSlinger? This product has a 10 foot cord. The WordSlinger has a 7 foot cord. Like we mentioned, the WordSmith is in-ear, the WordSlinger is over-the-ear. The choice mainly depends on if you prefer an in-ear headset or an over-the-ear headset. I find over-the-ear design more comfortable, but the in-ear design does block out exterior noises better. The Sony MDR7506 Professional is a terrific pair of headphones. Sony has a great line of studio monitors and they provide amazing clarity, ideal for transcribers & audio professionals. Very sturdy design. These will not break from regular use. Fits comfortably over your ear. I’ve noticed very little ear pressure while using these. Designed for audio professionals so they block out all exterior noises. Long sturdy cord that does not get caught or tangled due to it’s circular design. Folds up so you can take them on the go. Very versatile. These are great for spoken word & music. This headset is not particularly heavy, but they are heavier than smaller headsets. $79.99 price tag. These will last much longer than cheaper ($20 to $50) headsets. The Sennheiser HD 201 Lightweight Headphones have great audio quality. The lightweight design is ideal for transcribers who wear headphones for hours at a time. Reasonably priced at $45.99 per pair. Very lightweight, ideal for transcribers who type for long periods. Blocks out exterior noises very well. Versatile – These headphones can be used for transcription or music playback. Comes with a 1/4” adapter. The adapter allows you to connect to a stereo system & musical instruments. The bass response is low. Not designed specifically for transcription. The Logitech USB Headset H570e is a well-priced, versatile headset. Logitech is a very trusted brand that makes a great line of affordable headsets, all of which include a microphone. Affordably priced at around $40. Includes a microphone. This is perfect for dictating in Dragon’s NaturallySpeaking software, Podcasting, Skype, and Google Voice. Headphones do a very good job of blocking out exterior noises. Voice clarity is not as high as headsets designed for transcription. Olympus makes well-priced & lightweight headsets designed for transcription. Very lightweight & long cable. Comes with two different types of ear pads. Priced at around $45 which is more expensive than other headsets in this class. Not ideal for listening to music. The Bose QuietComfort 35 Wireless Headphones is arguably the best pair of headphones on the market. They are versatile, durable, comfortable, and the sound quality is phenomenal. You can use Bluetooth or plug in directly to your device. You can use these as a Bluetooth headset or plug in directly to your computer. Headphones fold up and come with a carrying case. Bose speakers have some of the best audio quality you’ll find in today’s marketplace. Very versatile headphones. Great for transcription or music playback. The only problem is the price. The QuietComfort has a $349.00 price tag, but these headphones will hold up over time. 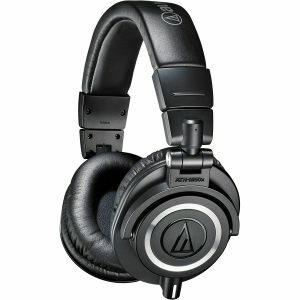 Audio-Technica is a trusted brand that makes great headphones for audio professionals. These have terrific audio clarity. Fantastic Audio Quality. These are used by audio professionals around the world. Great variety of color choices. There’s an optional Bluetooth adapter designed for these headphones. Detachable cable. If your cord rips, you can always replace the cable. Very sturdy. This is the type of headset you can own for many years. These headphones are large. They would not be great for listening on the go. 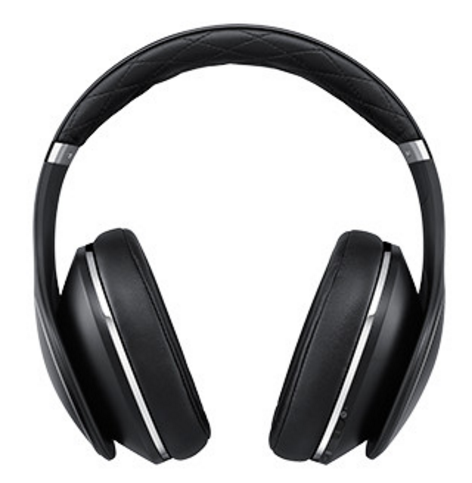 Similar to the Sony MDR7506 Professional Headphones, but they’re more expensive. 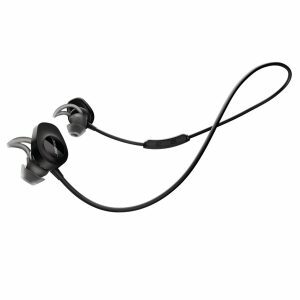 The Bose SoundSport is a great, extremely lightweight pair of Bluetooth earbuds. Very lightweight. Less than 1 ounce. You can take these on the go, transcribe at home, listen to music, work out, etc. These headphones do not have a wire. They require a Bluetooth connection. Which transcription headphones are best for you? Everybody has different needs. Some people have big ears (like myself) and smaller headsets and earbuds are not comfortable in the long-run. Other people like the convenience of the more compact earbuds. Price is a factor for any purchase, but you don’t have to break the bank on headphones. Luxury brands like Bose & Beats aren’t necessary for transcription. There are many headsets between $25 and $50 that are great quality, suitable for transcribing, and will hold up over time. I hope this article was helpful. Comment below if you have a favorite pair of headphones and please leave any questions or comments you might have. Happy transcribing! could you please advise what are the best earbud head phones for transcribing reports from doctor. I need clarity and hardly any base. Thanks for your question. Number one on the list, the Spectra USB Headset, would be your best bet. It has low bass and clear audio. I transcribe disciplinary hearings and CCMA arbitrations with more than five people in a room. I had the Spectra Transcription Headset but it broke after three years. I was very happy with the sound. I work from home and have quite a bit of noise around me. I need to replace mine and would like your input? I personally like the Sony and Sennheiser headsets. The lightweight Sennheiser is great and any of the Sony studio monitors (a little more expensive) have terrific audio quality. I think the Sony MDR 7506 is your best or a pair of Sennheiser headphones. You don’t want headphones designed for pop music, like the Beats brands or others, because you really just want to hear the vocals in a body camera and not external background noises like car engines, foot steps, and other heavier sounds. Hope my answer helps and good luck!